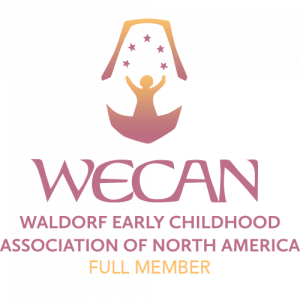 Pleasant Ridge Waldorf School offers an aftercare program for children enrolled in kindergarten through grade six (ages 3.5 to 12 years). Our aftercare program will be available Monday through Friday from 2:45 to 5:30 pm with pick-up times every thirty minutes after 3:30 pm. Pick-up locations may differ based on the time, schedules will be provided to all who register. The aftercare program will be a combination of outdoor play and indoor play and a healthy snack. Courtney Maatouk is the Aftercare Director and will be planning and managing many details of the program. Registrations will be processed monthly. Complete a registration form and provide requested information including an emergency contact name and phone number. Once the emergency information is on file, regular aftercare users need not include this information each time. Payment by check or cash must accompany registration forms. These may be mailed or dropped off in the office. Payment is expected no later than the 5th of the month in which services are being provided to maintain enrollment in program. Regular monthly registration for every school day during the month receives a 5% discount off the monthly total. Choose your regular pick-up time and submit the stated monthly total which is calculated for the days of school per month. A la carte registrations may be chosen for flexible aftercare use. Please use the price code on the registration form to help you arrive at the correct total for your monthly registrations. Place the pick-up cost in the box next to the pick-up time for each day desired and carry over the weekly total and monthly totals. Drop-in Registrations must be made in the front office by 8:30 am of the day requiring service. **Payments for drop-in aftercare must be made at the time of registration or at pick-up. Pleasant Ridge Waldorf School has created a series of Enrichment Days during the school year to support working families when school is not in session. Throughout the course of the school year there are faculty in-service days, parent-teacher conference days and other non-attendance days scheduled into our school calendar. The Enrichment Days are not only designed to help families with childcare needs, but also for the children to have a guided social (games, stories) and informal experiential educational (nature walks, nature-based crafts) experience. This curriculum is designed to enthusiastically engage all students in each age range. Ten of these non-attendance days have been identified and programming will be offered for children five and up from 8:30 am – 2:30 pm. Children will need to bring a healthy lunch. Registration is required to ensure the enrichment day will be offered. You may register for the entire year or up to 24 hours before each day. Drop-ins will be allowed if there are available openings. A sibling discount of $5 per day is offered after the first child is registered*.